Swiss Melodic Death Metal band XAON will release its debut EP Face of Balaam on October 16, 2016. 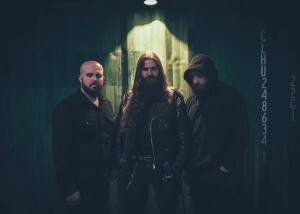 The official video for first single “Discrowned,” featuring vocals by SOILWORK’s Björn “Speed” Strid. Brilliant melodies combine with the aggression of Death Metal throughout Face of Balaam, yet that description doesn’t quite do justice to the range of styles influencing the sound of XAON. Consider the contributions of legendary acts like ANATHEMA, TYPE O NEGATIVE, MY DYING BRIDE, SOILWORK, DEMONICAL, ULVER, and even Finnish act DISGRACE’s early-to-mid 90s output, and you’ll get the picture. Face of Balaam was produced and arranged by band members Vinc and Flo, recorded between June and August 2015, mixed and mastered by Julian at Parallel Focus Studios. Vocals engineered by Rob Carson at Carsonian Sound Solutions. All vocals, except “Discrowned,” by were performed by Franco-American singer Rob Carson. Samples on “How we become Ephemeral Birds” and “Discrowned” by J.-P. Lana. The album artwork was created by Californian artist and painter Erik Burton Kirchner.